ABB’s F200 B Residual Current Devices (RCCBs) assist in detecting different waveforms of residual fault currents and operate when the electrical system has a high leakage current to ground. The F200s feature a bidirectional cylindrical clamp designed to facilitate safe execution of the electrical connections thanks to the presence of two distinct seats for cable entry. The clamp structure eliminates any chance of incorrect cable fastening operations and detects hazardous situations for people and the system. The front of the circuit breakers features a test button to check the proper operation of the devices and an LED indicator to signal the kind of leakage that the RCD is detecting. 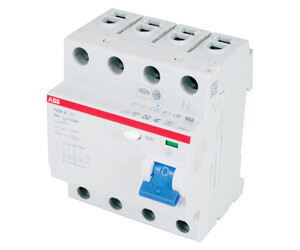 Type B RCDs are considered universal devices as they provide protection against the tripping waveforms listed in the Standards EN 62423, and they can be integrated with all devices produced by ABB in terms of connection, selectivity data and coordination. They ensure higher protection levels with maximum operational continuity under all working conditions and are certified for operation in harsh weather conditions up to 60°C. 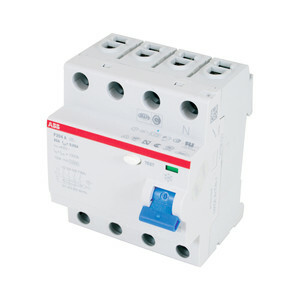 I am interested in ABB F200 B Residual Current Devices (RCCBs) .